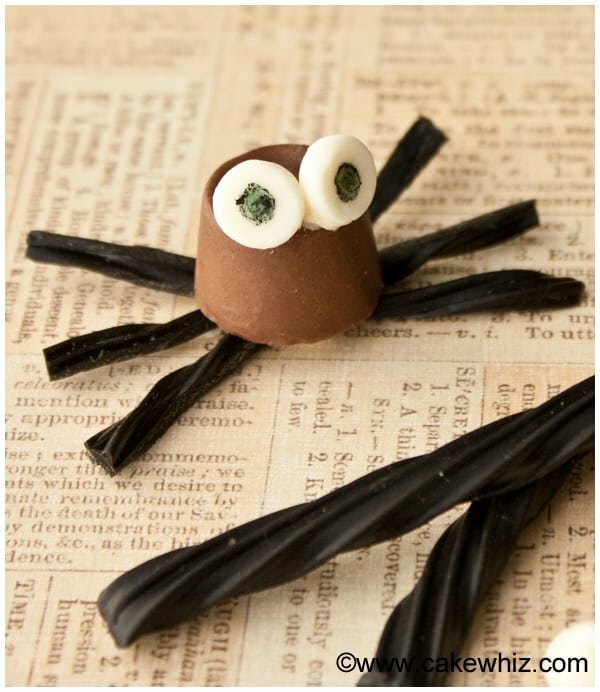 In this tutorial, you will learn how to make cute Rolo chocolate spiders for Halloween. Easy and fun to make and it’s a kid-friendly activity. 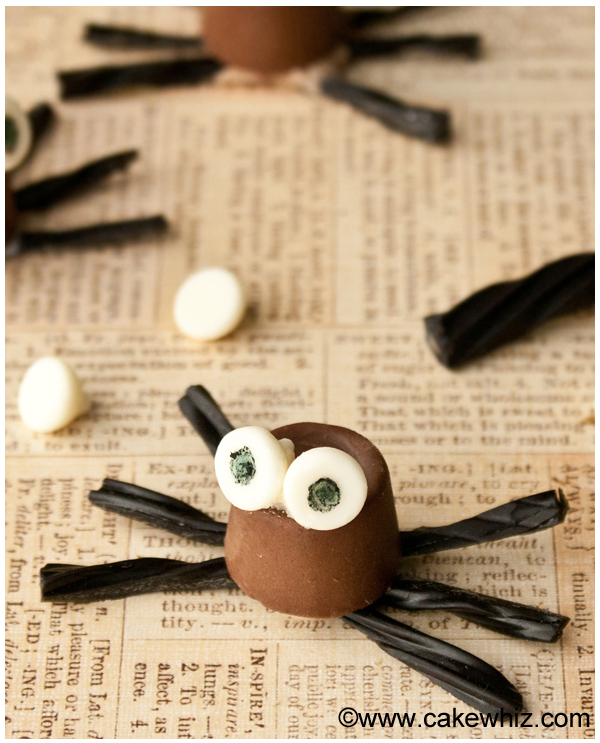 I have been so eager to share these Halloween Rolo chocolate spiders with all of you. I felt like Halloween WASN’T getting here soon enough…lol. But now that it’s only ONE day away, I am so pumped and totally prepared! YAYYYY! And I have even bought the most ADORABLE teddy bear costume ever for my little one! 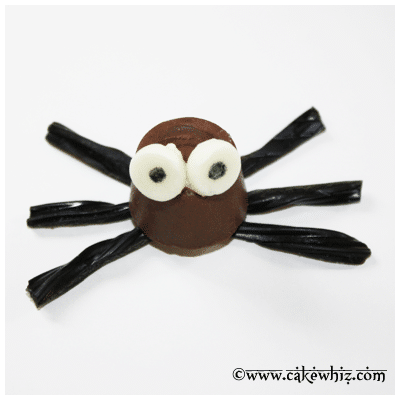 While “sampling” all the candies, I came up with this cute chocolate spider idea. It’s a great last minute treat to make with your kids on Halloween. These little cuties are so much FUN to make and very EASY too! 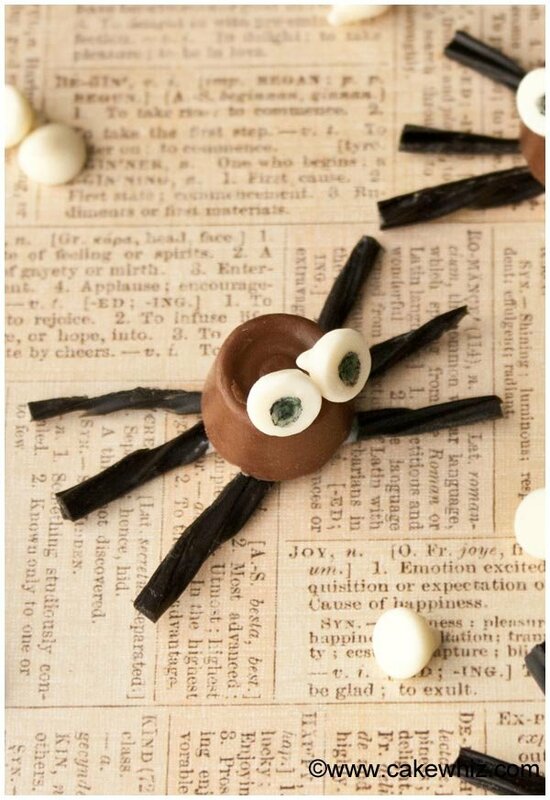 Real spiders are freakin SCARY but these chocolate spiders are SUPER cute! 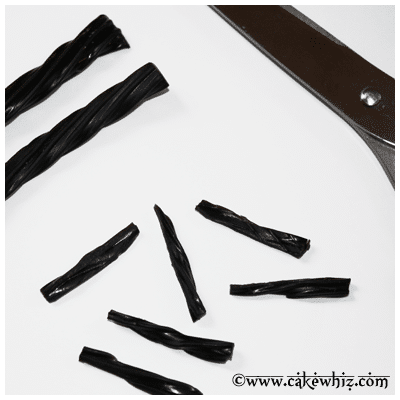 Cut Twizzlers into small pieces, using scissors. Make sure they are about the same size. These will be the spider’s legs. 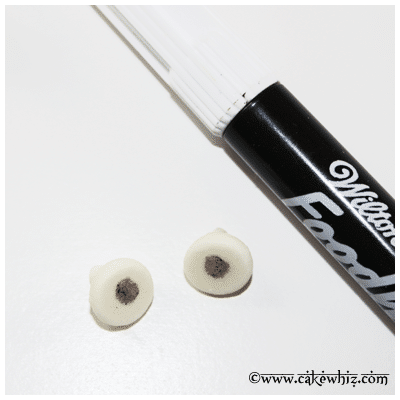 Draw black circles on 2 chocolate chips, using a black edible marker. 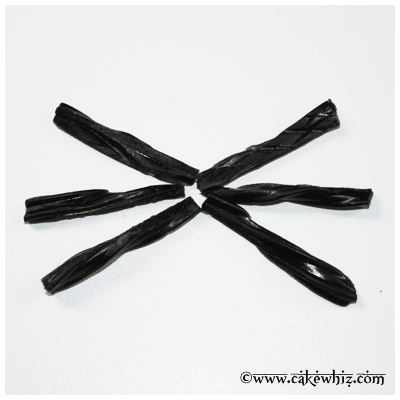 Assemble 6 Twizzler pieces (as shown in this picture) on wax paper. Let’s put everything together now! Squeeze melted chocolate in the center of those Twizzler legs. Stick a Rolo candy on top of the melted chocolate. Finally, stick those 2 eyes on top of the Rolo candy with some melted chocolate. You may also like this Halloween mummy cake tutorial. If you are looking for more Halloween inspiration, check out my halloween archives. I could eat 1000 of these. They are so cute!! !